Thanks to his substantial role in the Marvel Cinematic Universe, Clark Gregg is known around the world as Agent Phil Coulson (or if you’re fully caught up with the first season of Agents of S.H.I.E.L.D., Director Coulson). After years of great character actor work in both comedic and dramatic roles, Gregg got his big break with a small role in Jon Favreau’s Iron Man, and nothing has been the same since. Much more than just his Marvel Studios character, however, Gregg is also quickly establishing himself behind the camera as well. It was just a couple months after the release of Iron Man in 2008 that he made his directorial debut with Choke, a hard-R rated, Sam Rockwell-starring adaptation of Chuck Palahniuk’s novel of the same name. Six years later, Gregg has now not only directed his second feature, Trust Me, but also has served as the projects lead character. And I recently had the chance to talk with him all about it. 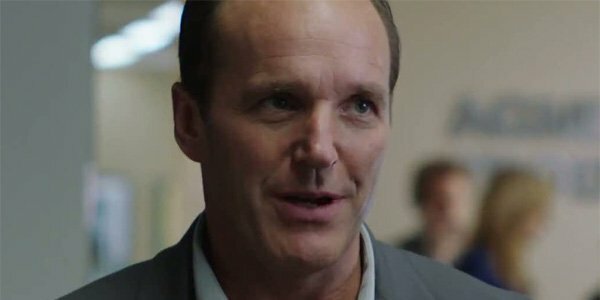 Earlier this week I hopped on the phone with Clark Gregg to talk about his newest feature and found out some pretty fascinating things about both the project and him as a filmmaker. Read on to find out more! Clark Gregg has been working in the industry for a long time now, first starting to get his acting career off the ground in the late-‘80s, but in the writing/directing field, he is comparatively green. After all, Choke was made a full six years ago, and Trust Me is only the filmmaker’s second effort. One major difference between the two projects is that Gregg actually plays the lead in his latest film, while he only played a supporting role in his debut. If you think this was the plan from the very beginning, however, you are mistaken. In coming up with Howard Holloway, child agent and former child star, Gregg wasn’t trying to come up with a role he could play himself, but instead was just trying to come up with a great character. Sam Rockwell, who played the lead in Choke was briefly considered for the part, but Gregg ultimately decided that he was too young to get the full weight and desperation of the part. Finally it was his producing partner Mary Vernieu (who also happens to be a casting agent) who finally suggested that Gregg play the role himself. "There are millions of people that probably could have killed it, but I just had a vision of this, and I decided to do it," Gregg told me. "I spent the three months leading up to shooting it, waking up in the middle of the night thinking of different actors or directors that I could give one of the jobs to." Taking on jobs as big as "director," "writer" and "lead actor" definitely took its toll on the filmmaker, and he admitted to me that there were some drawbacks, including not being able to watch everyone else’s performance. He had to put all of his trust in the people he hired to get the production done in just 20 days, and not only did it work, it also provided an extra benefit. "I realized that there was an upside, which was that I felt just as in over my head and lost and frightened as Howard did," Gregg said. "And it really kind of lent a vulnerability, I feel." 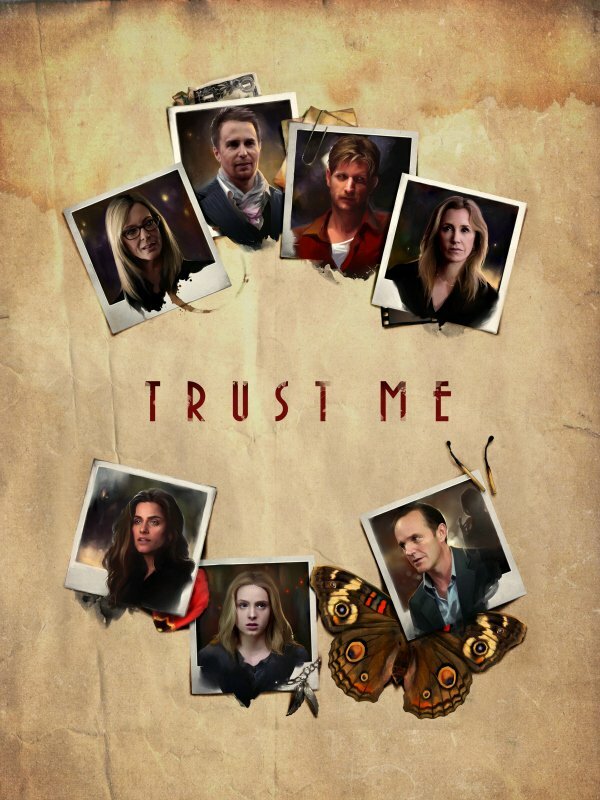 Trust Me has a tight storyline that can easily be summed up into a one-sentence logline: Howard Holloway, a former child star turned child star agent, finds himself in a deep rut, but finds potential salvation when he accidentally discovers an incredibly talented young actress and convinces her to let him represent her. Obviously it’s material suited for a feature length movie of its very own, but its origins actually lie in being part of a much, much bigger piece – one about eight times its size. "One of them really stuck out as separate, Gregg told me. "It was this kind of thing that felt like a mash-up of a kind of desperation comedy about the underbelly of Hollywood and a kind of film noir, where instead of a loser detective, it’s a loser agent for child actors, and I guess because I knew the world, or at least the language of the world, it was something that could just come out in this weird fevered dream." The legacy of child actors in Hollywood is easily one of the shadiest aspects of the film industry, and things are just as bad now as they were decades ago. The list of young stars who saw their lives crash and burn after their star had faded is far too long, and pretty much every movie-goer out there has heard a horror story or two. This was something that was very much on Clark Gregg’s mind while making Trust Me, and while the movie is in many ways a comedy, the actor/director couldn’t just turn a blind eye to the dark side of the subject matter while making it. Explaining his choice to make Trust Me as an R-rated film, Gregg told me that the movie’s swear-filled dialogue is largely inspired by the works of modern theater writers like David Mamet, but also that the movie’s characters, themes and setting all contributed towards creating something darker than your average comedy. "If you give yourself over to the idea, it takes you a place, and at a certain point, I realized you can’t tell this story without getting into these kind of stakes." During the scriptwriting phase and production, Gregg thought back on what aging child actors have had to endure and in realizing that it made great subject matter, he also discovered that it wasn’t material that could be taken lightly. "I’m 52," the actor/director said. "I grew up watching kids on TV or on movies… Seeing where are they now, having not been taken care of, and this isn’t meant to be like… isn’t this unfair? It just seemed like such a ripe theme to explore, someone trying to figure out how to do the right thing. Because in this world there is darkness and to kind of tell the fluffy version of it for laughs to me felt like a cop out." 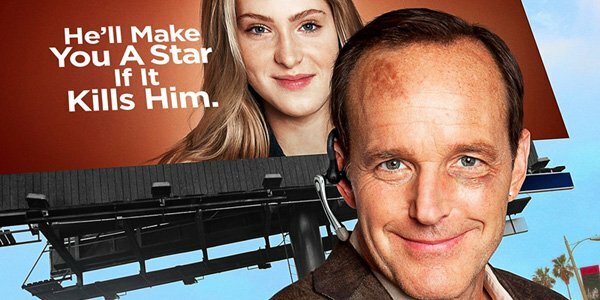 While Clark Gregg plays a rather schlubby loser in his second directorial effort, the same cannot be said about the young girl he meets and feels compelled to represent at the beginning of the story. Introduced when Gregg’s character interrupts an audition believing that she is really in peril, Lydia (played by newcomer Saxon Sharbino) is painted to be an immense talent from the moment she steps on screen. Of course, finding a young, inexperienced actor with Earth-shattering talent is exactly as hard as it seems, and there was a time before the start of production when it seemed like an impossibility. "The movie doesn’t work unless you find some stunning find, some kid who just showed up in town who’s just a naturally brilliant actor," Gregg explained. "For a minute, [producer Mary Vernieu] and I looked at each other like we can’t do it. We can’t do it. You can’t pick someone who is kind of like he’ll get there. You have to have someone who kind of, you know, makes the hairs on your arms stand up and Saxon Sharbino comes in and Mary knew about her, found her, said I’ve got a hunch, and within a second, she and I had this weird rapport." Putting so much faith in the hands of a young actresses and assuming that she could pull her weight in the film was something that Gregg categorized as a "big risk," but it didn’t take too long to determine that he had made the right choice. "She’s a gamer," the actor/director described. "She’s like, ‘Where are we going? what are we going to do? Let’s try another one. Push me. Hear me.’ You know? There was a trust there that was just remarkable." Pretty fitting given the film’s title. Trust Me is now available. Here is a full cast poster that Gregg shared with us. Enjoy!